China Power New Energy Development Company Limited (HKG:0735) is principally engaged in the development, construction, ownership, operation and management of clean energy power plants in the People’s Republic of China, including but not limited to, wind power generation, hydro power generation, waste-to-energy power generation, natural gas power generation and photovoltaic power generation. 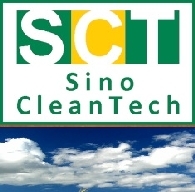 The China CleanTech Index rose from 64.25 to 74.57 over the month of April recording a 16.1% gain. This compared to the NEX gain of 5.1%, the CTIUS gain of 1.1%, the Shanghai Composite gain of 18.5% and the MSCI gain of 2.2%. The China CleanTech Index recorded a 4.1% gain in February 2014 but outperformed only one of its four benchmarks. The China CleanTech Index rose from 44.93 to 46.78 over the month of February recording a 4.1% gain. This compared to the NEX gain of 10.8%, the CTIUS gain of 10.5%, the Shanghai Composite gain of 1.1% and the MSCI gain of 4.8%. The China CleanTech Index rose from 44.37 to 44.93 over the month of January recording a 1.3% gain. This compared to the NEX gain of 3%, the CTIUS loss of 5.8%, the Shanghai Composite loss of 3.9% and the MSCI loss of 3.8%.